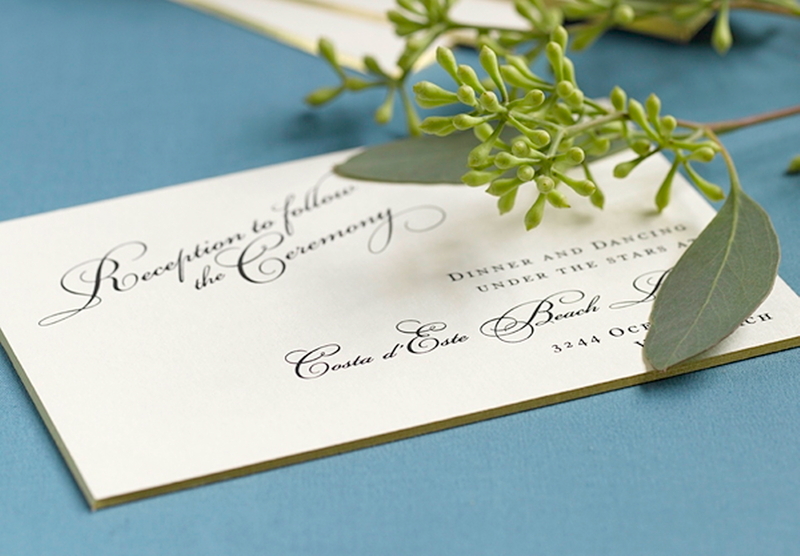 Elegant and impressive, this horizontal gilt edged ecru royalty wedding invitation is truly unique. A beautiful example of the heavy gilt edged card, shown in two ink colours, in a landscape format. It?s an expensive but magnificent invitation, truly spectactular. As mentioned previously on our site, we have a few options of similar gilt edged cards in different paper weights which vary the price dramatically. 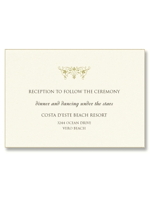 Gilt-edged RSVP cards are also available. 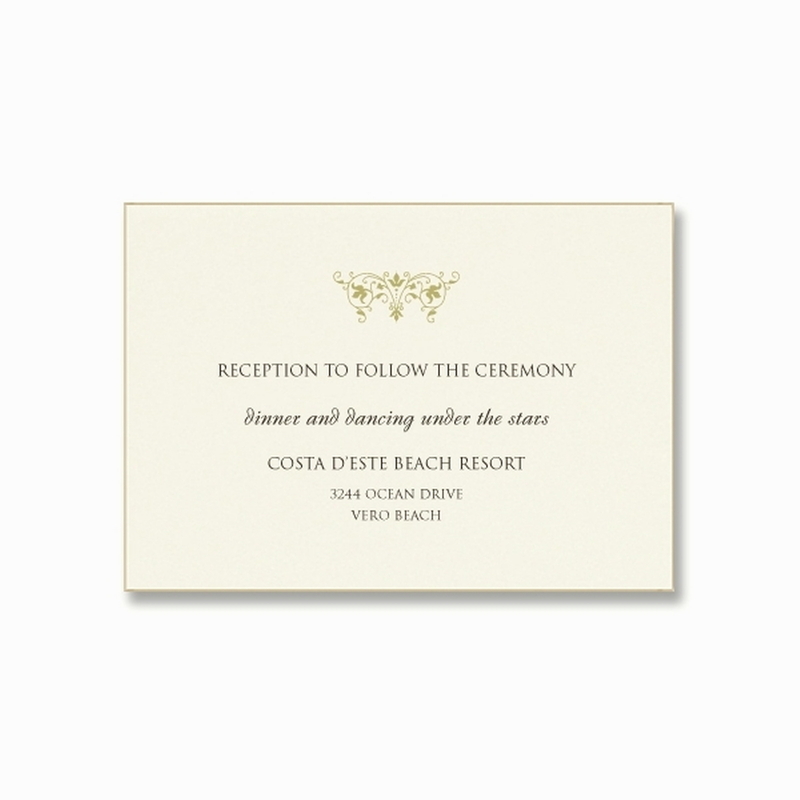 This invitation is suitable for engraved or letterpress print. 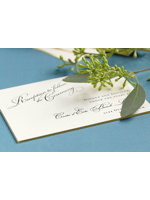 Printed in a single ink colour, using raised engraved print as shown, including envelope, is available from €882 for a wedding of around 90 to 100 guests. For a wedding of around 100 to 150 guests the price would be €994. The main image shown, is a design that uses two engraved ink colours, which would add €200 to the print costs.